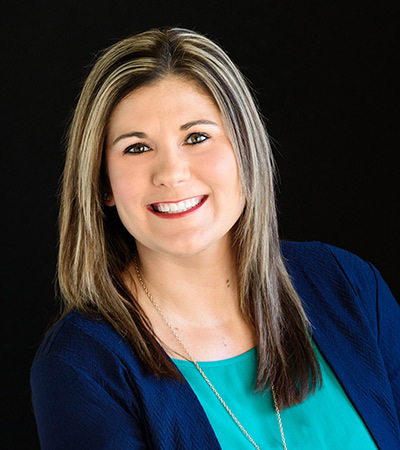 Sara (Dauber) Williams, a 2003 graduate of Cowley College, has gone on to accomplish many things since her time spent at Cowley. The energetic mother of two somehow finds the ability to balance her time with work and raising a family, while also donating her time to many worthwhile organizations in Cowley County. Williams graduated from Oxford High School in 1999 and came to Cowley on a basketball scholarship. “I had taken dual courses in high school so I thought Cowley would be a great fit,” Williams said. Along with spending the first semester as a member of the Lady Tiger Basketball team, Williams was also involved in Phi Theta Kappa. While at Cowley, Williams said faculty and staff such as Kristi Shaw, Bruce Watson, and JoLynne Stalnaker helped her along the way to achieving academic success. After Cowley, Williams went on to obtain a Bachelor of Science and a minor in Business Administration from Southwestern College in Winfield, KS. At Southwestern, she was involved in Beta Sigma Phi and Students in Free Enterprise. “I was able to get my undergrad completed at Cowley which allowed me to focus more on my degree at SC,” Williams said. After college she went on to spend some time working in the sales department of the NBA’s Houston Rockets, before being employed as an accounting specialist at Easter Seals Capper Foundation, and later at Inno-Labs. With Inno-Labs planning to close, Williams learned of an upcoming Job Fair to be held at Cowley College. Williams attended the Job Fair and applied for the General Manager position at the Best Western Plus Patterson Park Inn in Arkansas City. Williams enjoys the people she works with and the people the hotel gets to serve. Williams was the recipient of the Exceptional Woman in Industry, Business and Agriculture Award, and has seen Best Western Plus Patterson Park Inn be recognized for numerous honors since opening in 2014. Most recently Williams and the hotel were inducted into the Business Hall of Fame at Southwestern College. Williams and her husband, Brandon, reside in Winfield, KS. The couple have two children, daughter Braelyn 11 and son Braesyn 10. Williams currently serves as a Board of Director for the Winfield Chamber of Commerce, VISIT Ark City, & Cowley County Tourism Alliance. She is also active in her children’s school on the Site Council and devotes her time to her children’s’ activities and sports.